With our friends at RaceQuest back in town, we took some time to sit down with triathlon coach Chip Beard, a longtime local, and talk about the other side of triathlon prep. After all, someone has to run the workouts, and create the training plans, and shout out the early morning motivation. Coach Beard has been on the team at RaceQuest for years, and is happily back in town helping run the camps for the next few weeks after a short hiatus following Las Catalinas Triathlon. Something about the community aspect of running the camps in town just feels right, he told us and it’s an experience that he still loves even after dozens of camps. Coach Beard’s specialty now is in coaching the triathlon, although that wasn’t always the case. He was originally a mountain biker, in love with the offroad style of racing. From there, it wasn’t long before he started to use road biking to build endurance, only to realize he had a knack for the sport and start to lean full on into road biking. “Sooner or later though, it’s always triathlon,” Beard says with a laugh. From road biker, adding longer and longer distances meant adding a pair of extra sports, and it wasn’t long before he was a full on triathlete, competing all around the world in IronMan competition. Nowadays, Chip has focused more on coaching (and his rekindled love of mountain biking), and brings over 15 years of experience to the table as he starts this most recent round of RaceQuest camps. It’s a different way of doing things than the days when Chip was an intense competitor himself, but it’s been a welcome change. We asked Coach Beard to go in a little more depth about coaching, and he was happy to oblige, sharing with us some of what he’s learned about improvement over his fifteen years coaching students. For example, in swimming the most drastic improvement is made in the first five months. As people get the basics, and understand the fundamentals of floating correctly, catching the water, and getting comfortable they see rapid growth. As for the bike, the process is a bit more of a slow and steady improvement. In Beard’s experience, developing a good cycling engine can take years, partially due to the multiple aspects of training that need to be completed. First, athletes have to build both strength and endurance, each requiring their own specific trainings, which is only the first step to building the ‘strengthened endurance’ that is fundamental to cycling. 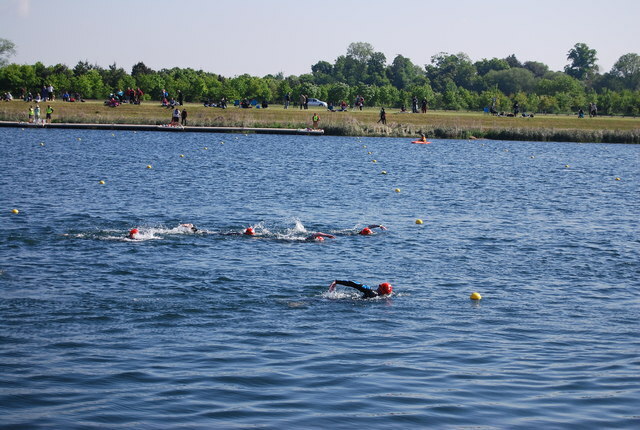 Running, the last leg of the triathlon, stands between swimming and biking in terms of development path, although Coach Beard is quick to point out that some parts of running training are often overlooked. Technique in the run is actually just as important as technique in the swim, Beard explains, and by focusing on details like body position and body angle, understanding ankling, and in general practicing proper form are all key to making fast improvements in the run. These are all techniques that are simple to learn, but can only be mastered by lots and lots of training. And as Coach Beard explains, dedication to the training is the number one thing that separates elite racers from normal age-groupers. We asked Coach Beard, from his experience, what the difference was between an expert and an age-grouper — was it physical strength, absurd fitness, perfect technique, genetics — and the training won out every time. Which is not to say, Beard explains, that there are no other factors. Speaking frankly, he explained that there are certain intangibles needed to compete at a level to be the best in the world — good genetics and inherent talent came immediately to mind — but what truly defines the best is that they have the time to commit entirely to their training. And Beard had some words in that regard to anyone just bitten by the triathlon bug. We asked him about the best way for a relatively new racer to get started, which he agreed can be a bit daunting. From there, there are a few other steps Beard recommends. “Also, make sure you do something short, not an Iron Man at first,” he says with a laugh, although he does have a story about Iron Mans that he’ll touch on later. RaceQuest plays host to all different skill levels during their training camps, from the experts looking to refine technique to the new racers just bitten by the bug, and Beard says that Las Catalinas is definitely the place to be. After all, there’s a reason that after years, RaceQuest keeps coming back. As we wrapped up our chat, we took the chance to ask Coach Beard about the most memorable moments he’s had as a coach, and he had a pair of answers for us. It was easier said than done. The client came to Coach Beard with weight problems, next to no fitness, and a goal of completing his first Iron Man in 12 months. The pair succeeded. 12 months and 180 lbs later, Chip’s first trainee completed his first Iron Man, a moment that Chip says he’ll never forget. The second came far later, when he first coached a trainee to qualify for the world championships. “That was a little different, because she was the fastest cyclist in the world in her age group, but there was still a long road,” he explains. Both memories are still very dear to him, and as he looks back on both he can’t pick between the two. “It’s just as strong of a feeling, just as powerful to a coach to guide someone to their first Iron Man as to their second, or even to their first world championship,” he finished. A big thank you to Coach Beard for taking the time to chat with us, and we wish him and the RaceQuest team the best as they’re in town this week.